With ICMFM being successfully held in Hanoi and Da Nang in 2017 and 2018 consecutively, this year, 2019 3rd International Conference on Materials Engineering and Functional Materials will be held once again in Vietnam in the city of Hue during May 4-6, 2019. The conference provides an international forum for researchers and practitioners to report most recent innovations and developments, summarize state-of-the-art, and exchange ideas and advances in all aspects of material engineering and functional materials. ICMFM is considered as the annual meeting of International Journal of Materials Science and Engineering. So it also aims to provide a platform for the authors and editors of IJMSE to communicate with each other, to address news challenges and methods in the related filed and propose special issues for hot topics. Submissions will be peer reviewed by conference committees, and accepted papers will be published in the conference proceedings, which will be indexed by EI Compendex, Scopus, etc. Selected papers will be reviewed by both the conference committees and IJMSE Editorial Board, and accepted papers will be published in International Journal of Materials Science and Engineering, which will be indexed by Crossref, Google Scholar, etc. Please submit your full paper/abstract to us via the iConference Electronic Submission System. Abstract submission is acceptable if you're not expecting any publication of your paper. Aside from the IJMSE editorial board members, who are already serving on the technical program committee. We're recruiting new members to join the committee to ensure the quality of peer review of the papers submitted to ICMFM 2019. Interested applicants are welcome to submit your curriculum vitae to us by icmfm@iap.org. Technical program committee members can get discount on registration fee for the conference. Institute Materials Sciences, Vietnam Academy of Science and Technology, Hanoi, Vietnam. Institute of Applied Physics and Materials Engineering, University of Macau. 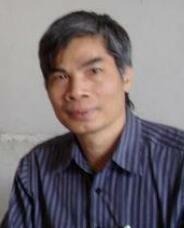 Prof. Nguyen Quang Liem will give a keynote speech at ICMFM 2019. The title of his speech is 'Modern Techniques for Analysing Ancient Art Ceramic Technologies'. Final call for submission. The submission deadline has been extended to March 20, 2019. Copyright © 2016-2019.IJMSE. All rights reserved.